This November may prove pivotal in life and death, punishment and mercy. 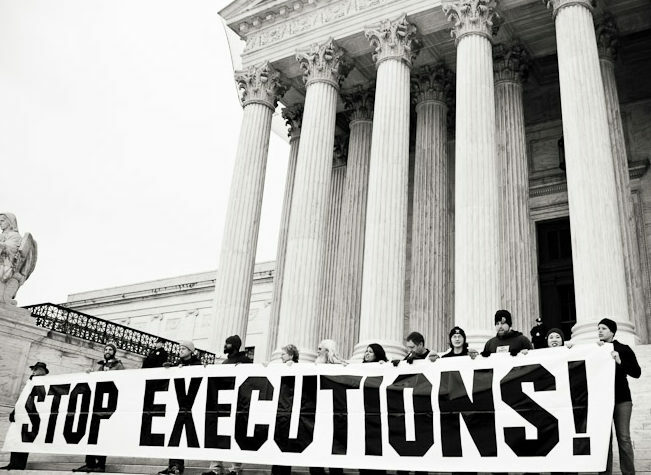 The United States Supreme Court is currently in the midst of two proceedings with the potential to uproot essential tenets for the continuation of capital punishment. The first is that of Madison v. Alabama. The case of Vernon Madison questions whether states can execute mentally-disabled inmates who no longer remember their crime. The defense argues that killing Madison would be unconstitutional as his numerous strokes have left him with no recollection of the 1985 murder of a policeman. They argue that the crime receives no retribution through the execution of a man with no grasp of his fault. The prosecution counters that as long as Madison understands why he is put to death, his execution accomplishes the goals of capital punishment to accord retribution and serve as a warning to others. The next case is that of Bucklew v. Precythe. Bucklew makes no claim that he is innocent of his 1996 murder charges, nor does he argue that lethal-injection is cruel and unusual. He does argue, however, that he would be incompatible to the lethal-injection process due to his severe medical complications, the nature of which would make the method inhumane. His pleas for an alternate method have been subjected to significant questioning as to which, if any, form of execution would be most humane. While these current cases spotlight potentially-dismantling questions to the death penalty, current political trends could very well hinder the contentions that arise. With Brett Kavanaugh’s confirmation to the Supreme Court, there now lies a deciding vote in a conservative majority. Given that Kavanaugh tends toward orthodox Republican views, his controversial appointment could significantly impact the treatment of the death penalty for the next generation and could silence attempts by liberal opponents to deem it cruel and unusual. This issue will only gain more pertinence as it is argued through the end of this year, as the cases face their decisions amidst the heightened partisan tension brought about by the Kavanaugh confirmation and midterm elections. The death penalty remains an issue that, in various factors, depends upon the specifics on a case-by-case basis. Generally, I would argue that assigning a human being their death is cruel and unusual punishment. The grating feeling one is subjected to while reading cases such as these should be indicative of the fear that the penalty wields, and thus the immense risk that it may be inhumane unless in response to unimaginable crimes. So many stories are of those who have panicked during a foiled robbery or committed murder in another such spontaneous crime; those guilty but remorseful might instead deserve a life sentence and the chance to make amends. Certainly, legislation should protect inmates not only on the chance that they may be wrongfully accused, but also so that the death penalty is a highly fettered assessment to make. Mercy is the only sure answer to protect those innocents. However, when looking at cases so sociopathic that the murderer would be a danger to society, I understand why many argue that capital punishment should be upheld sparingly. In those cases, the pitfall of the liberal opinion to assure the death penalty is so humane that the prisoner may be free of fear or pain might disregard that to those who have committed heinous acts, the fear of death might be the only punishment capable of inciting a human, retributive emotion. If these cases prove anything, it is that the death penalty remains an extremely significant question of the balance between morality and legality. Although Kavanaugh’s confirmation may shift the tides to the conservative opinion of upholding– and strengthening– the death penalty, liberal voices will surely continue to pose questions so that a balance can be attained. Capital punishment cannot fall to the homogeneity of a partisan majority, but continue to be contested for the sake of checks and balances. Neither its abolition nor its reinforcement may be entirely viable, so the continued questioning of the Eighth Amendment is crucial to assessing the true value of the lives at stake.